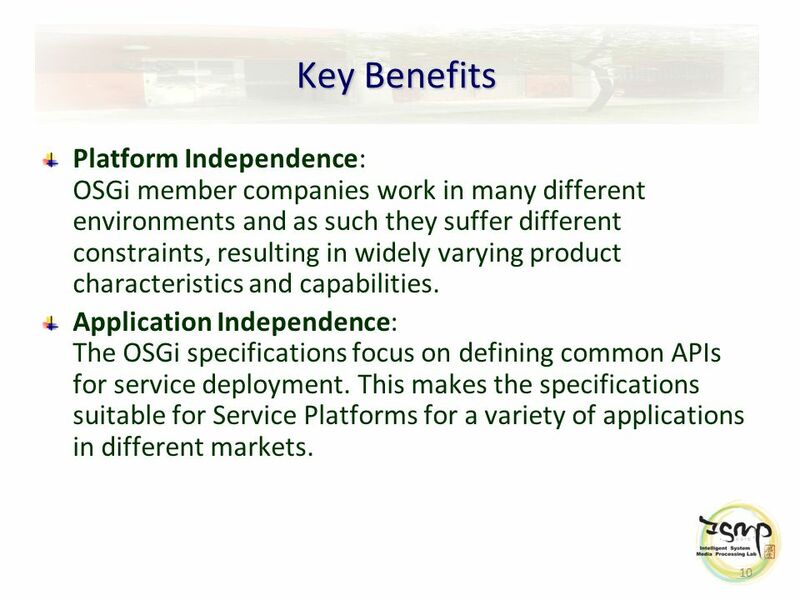 10 10 Key Benefits Platform Independence: OSGi member companies work in many different environments and as such they suffer different constraints, resulting in widely varying product characteristics and capabilities. 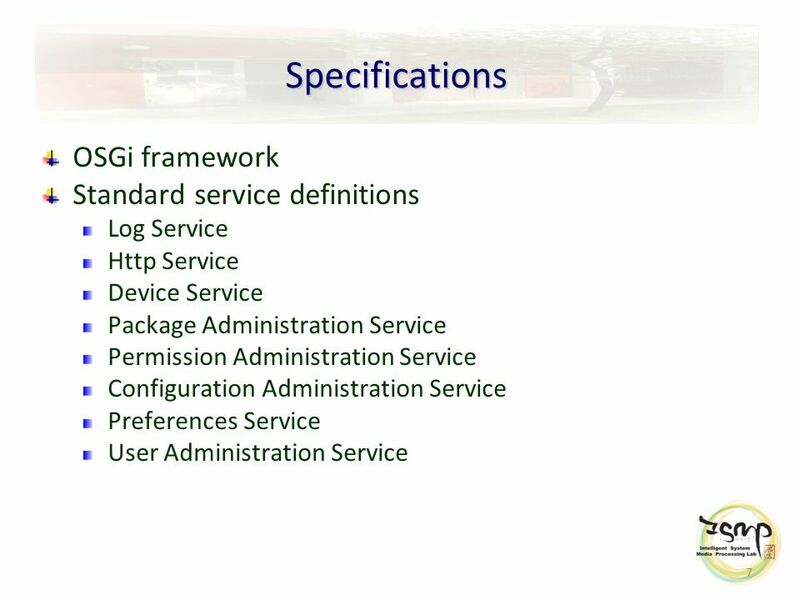 Application Independence: The OSGi specifications focus on defining common APIs for service deployment. 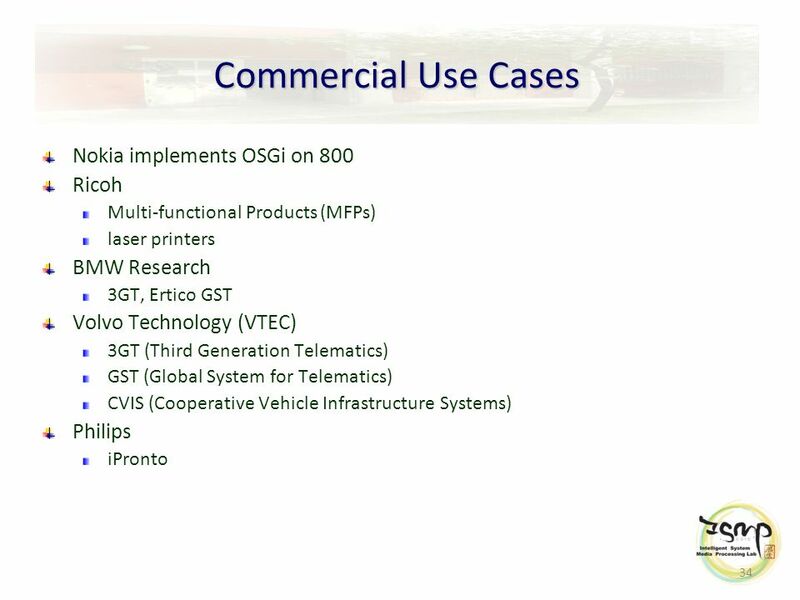 This makes the specifications suitable for Service Platforms for a variety of applications in different markets. 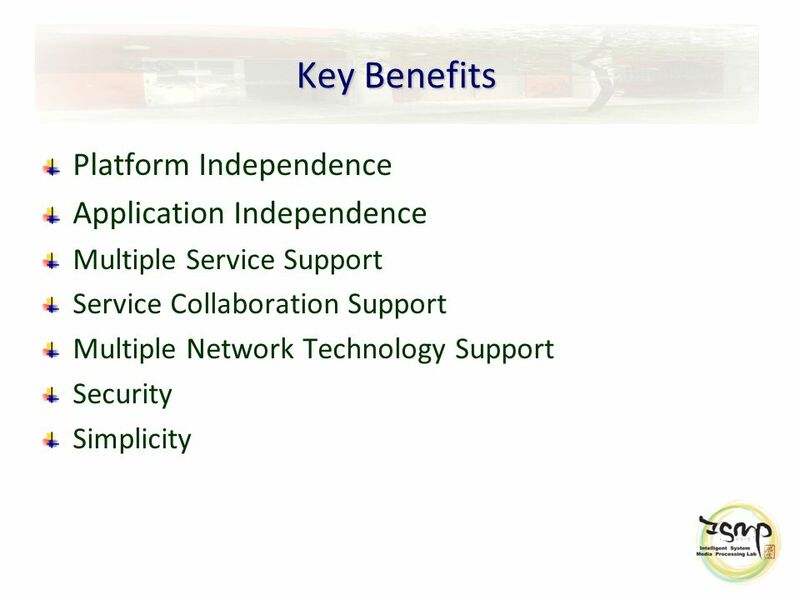 11 11 Key Benefits Multiple Service Support: OSGi environments should be capable of hosting multiple applications from different Service Providers on a single Service Platform with each application providing an independent set of services to the end user. Service Collaboration Support: An important aspect of the OSGi deployment model is that it allows the core platform to be extended with deployed services. 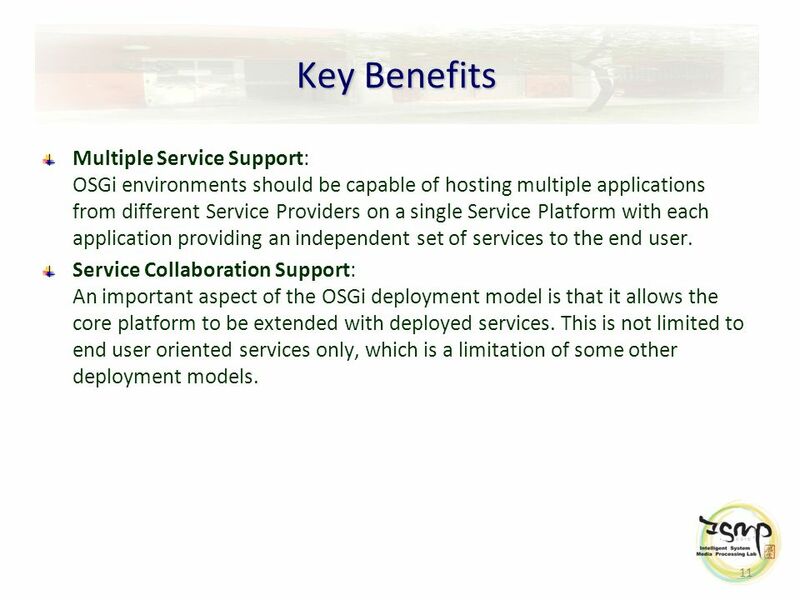 This is not limited to end user oriented services only, which is a limitation of some other deployment models. 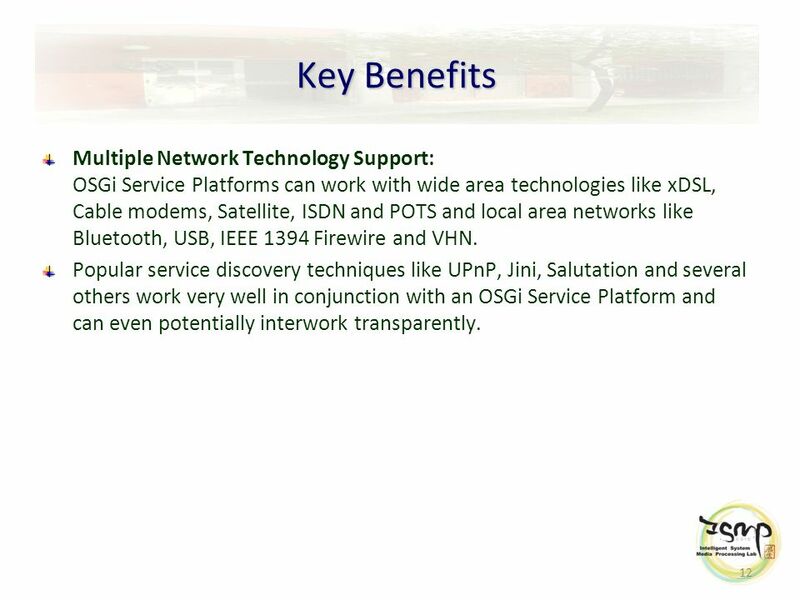 12 12 Key Benefits Multiple Network Technology Support: OSGi Service Platforms can work with wide area technologies like xDSL, Cable modems, Satellite, ISDN and POTS and local area networks like Bluetooth, USB, IEEE 1394 Firewire and VHN. 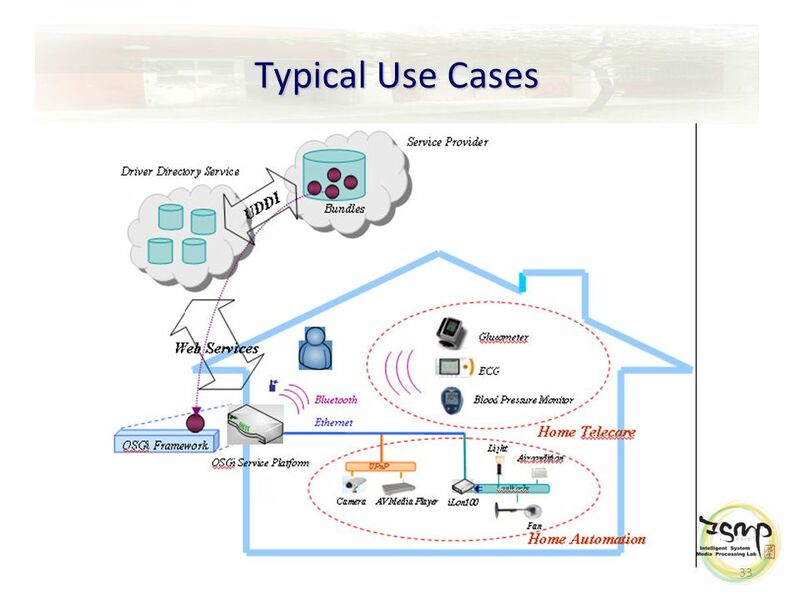 Popular service discovery techniques like UPnP, Jini, Salutation and several others work very well in conjunction with an OSGi Service Platform and can even potentially interwork transparently. 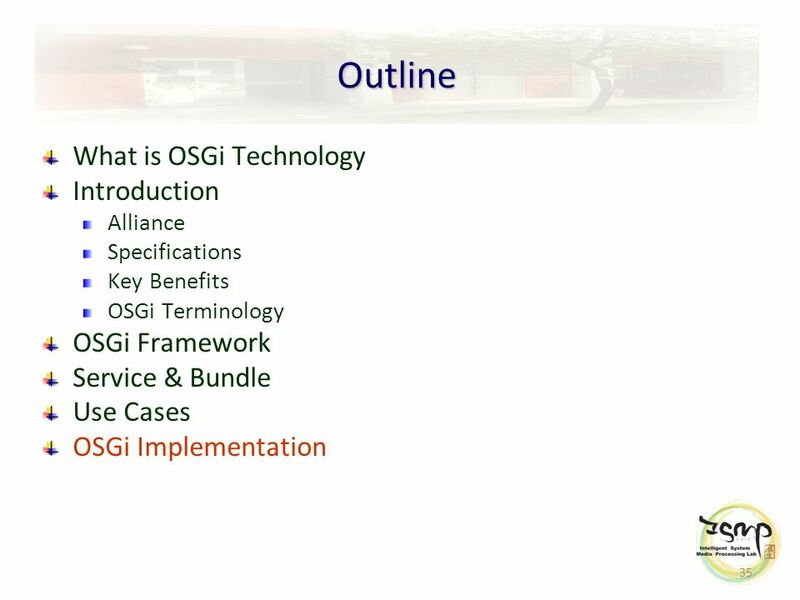 13 13 Key Benefits Security: The OSGi offers a fine grained security architecture that limits the potential harm a malicious or badly written application can do. 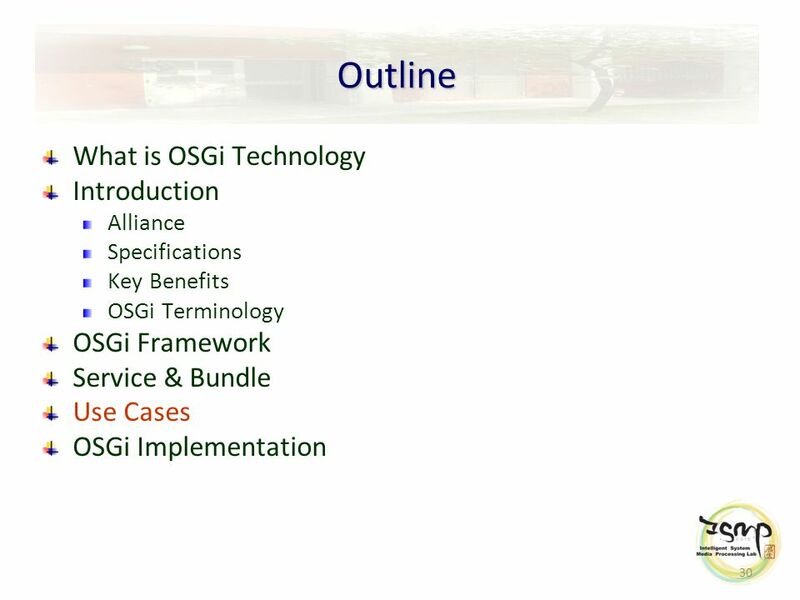 Simplicity : The OSGi environment offers a service environment for everybody by removing much of the complexity and putting it into the hands of professionals. 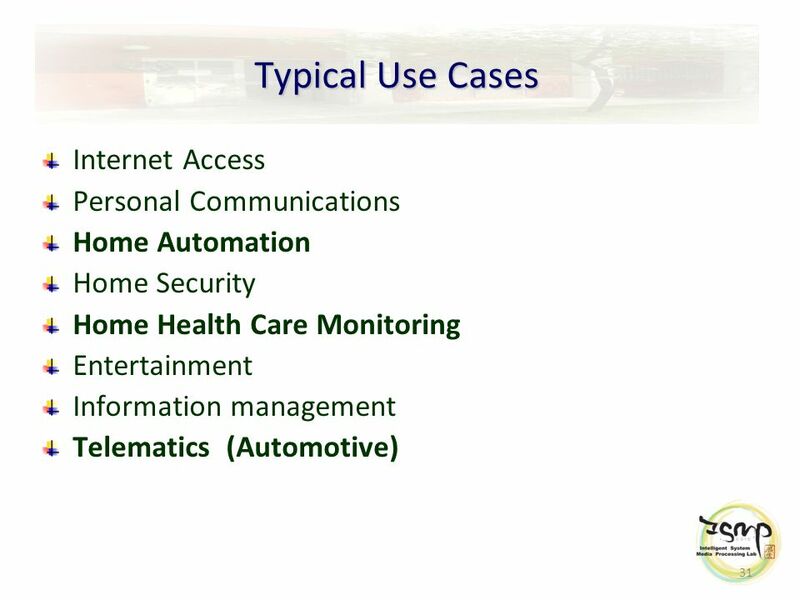 The environment can be remotely managed by a professional organization, if so desired. 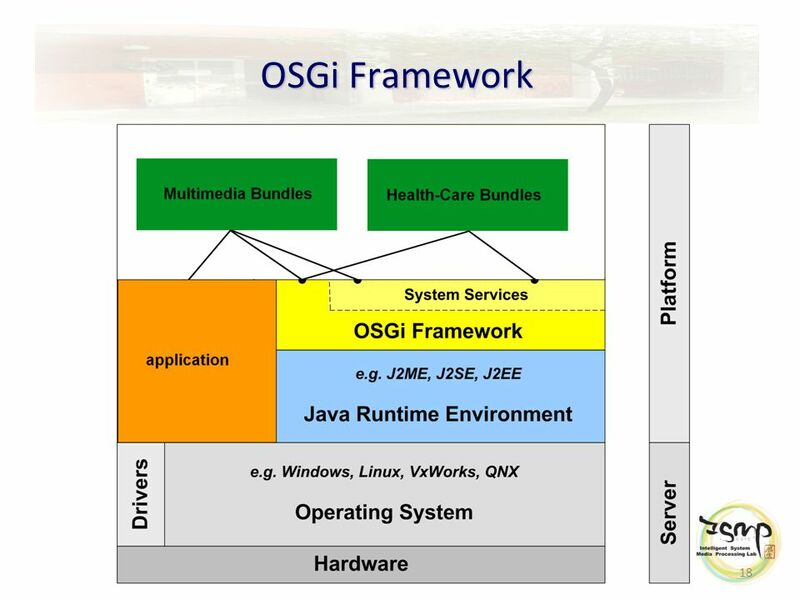 19 19 OSGi Framework Hardware: the physical part of a computer. 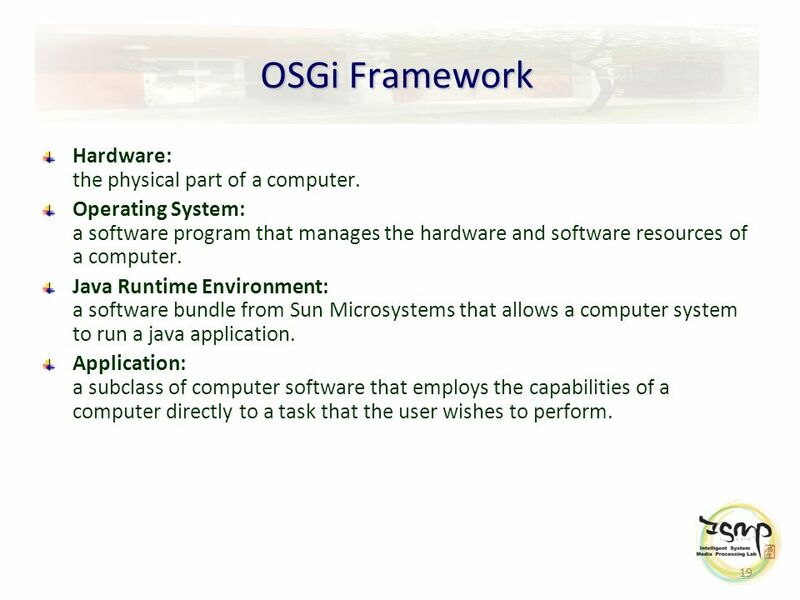 Operating System: a software program that manages the hardware and software resources of a computer. 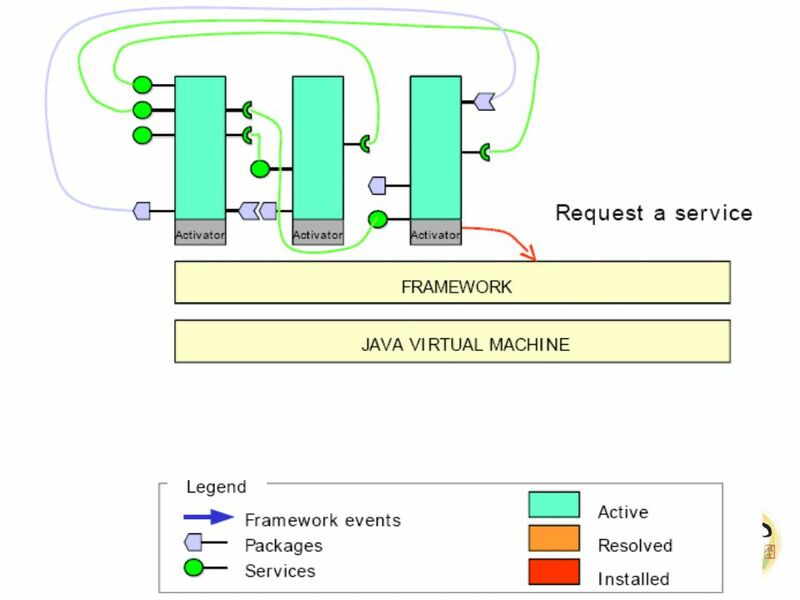 Java Runtime Environment: a software bundle from Sun Microsystems that allows a computer system to run a java application. 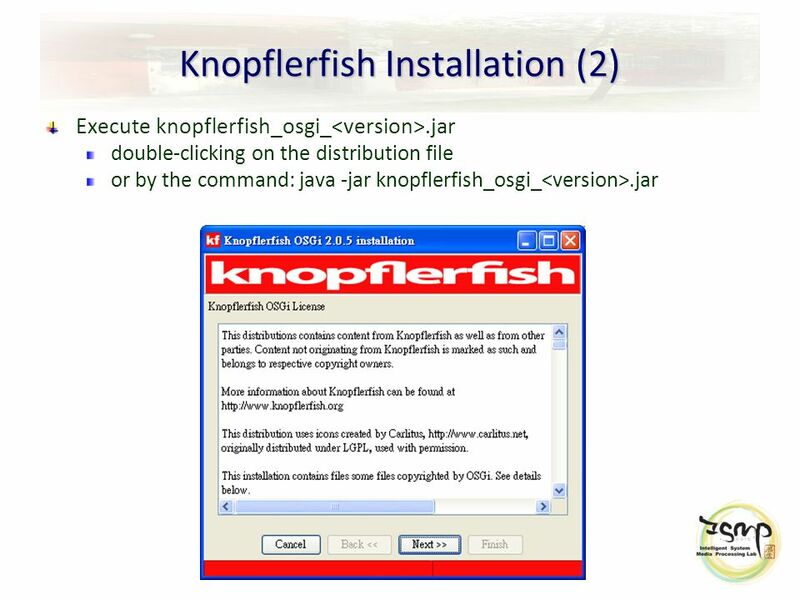 Application: a subclass of computer software that employs the capabilities of a computer directly to a task that the user wishes to perform. 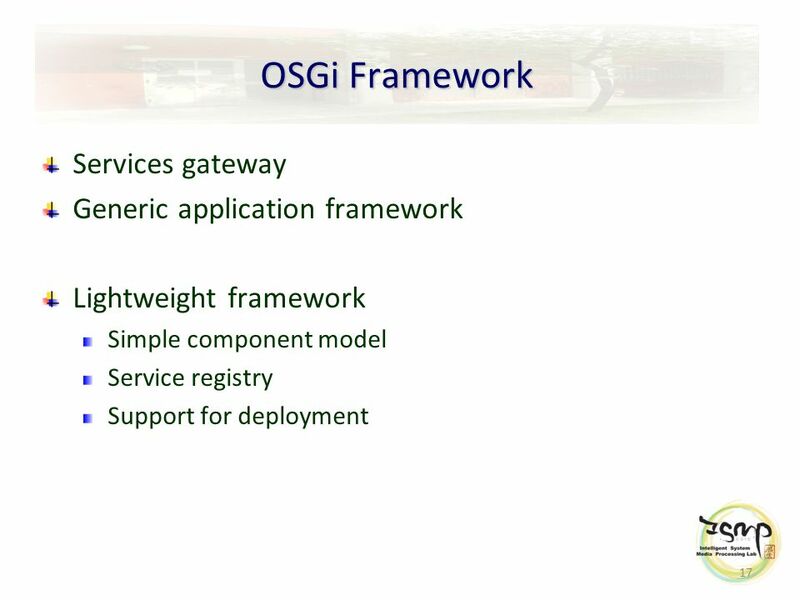 20 20 OSGi Framework The Framework is divided in a number of layers: Execution Environment, Modules, Life Cycle Management and Service Registry. 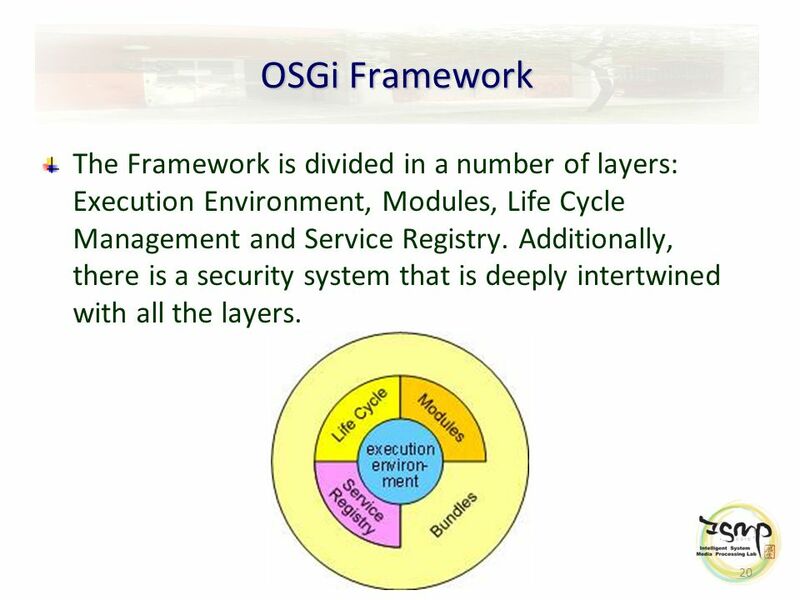 Additionally, there is a security system that is deeply intertwined with all the layers. 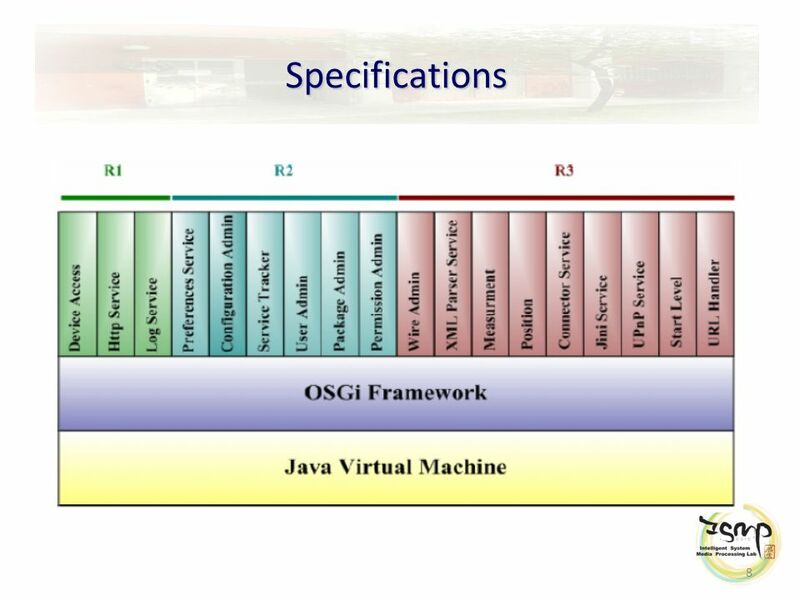 21 21 OSGi Framework Execution environment: the specification of the Java environment. 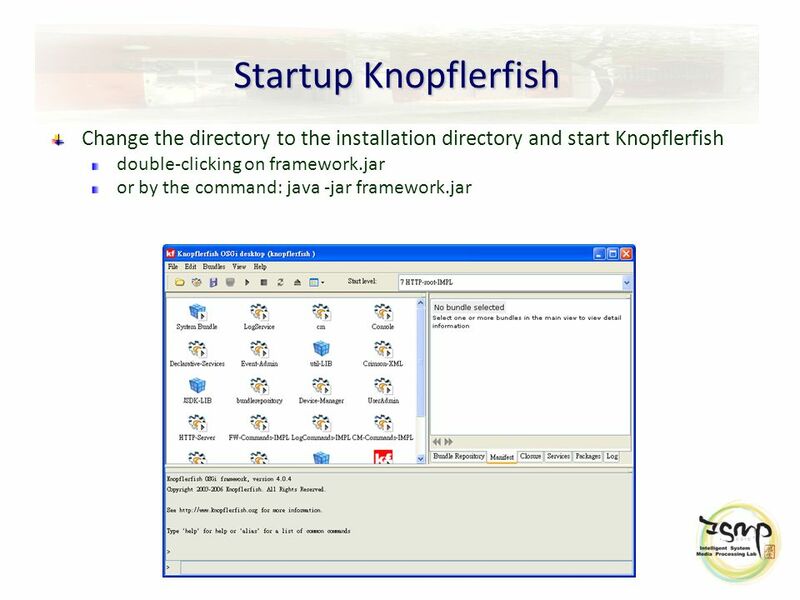 Java 2 Configurations and Profiles. 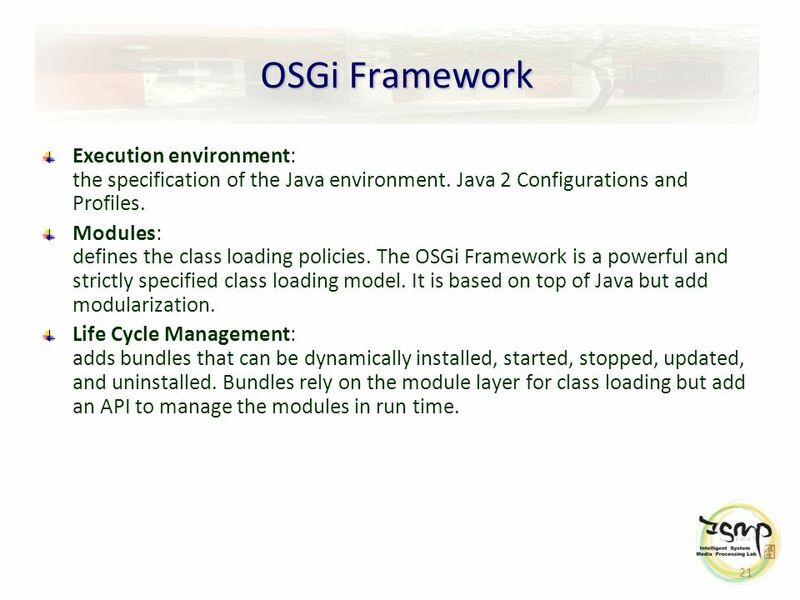 Modules: defines the class loading policies. 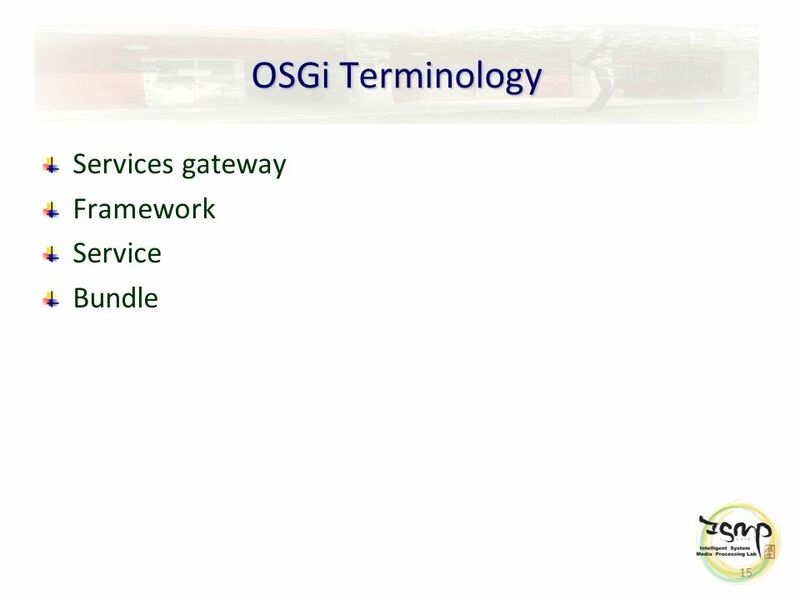 The OSGi Framework is a powerful and strictly specified class loading model. 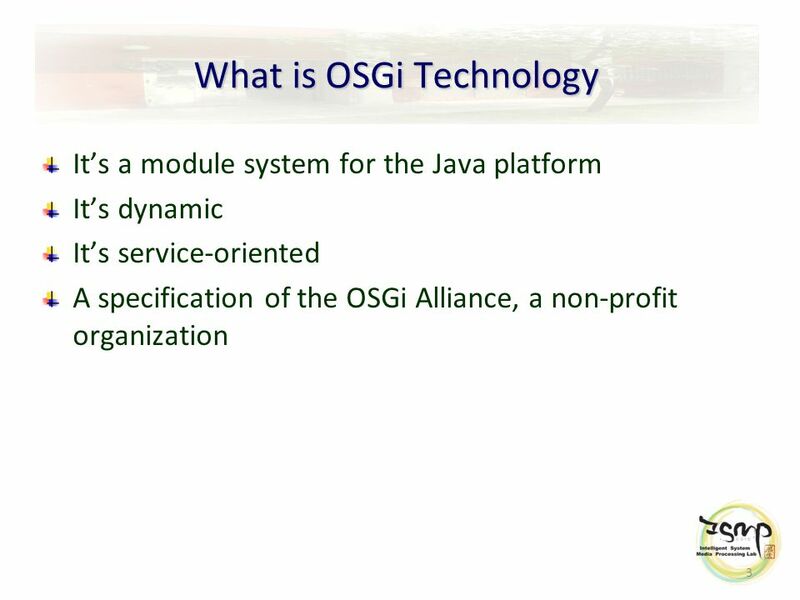 It is based on top of Java but add modularization. 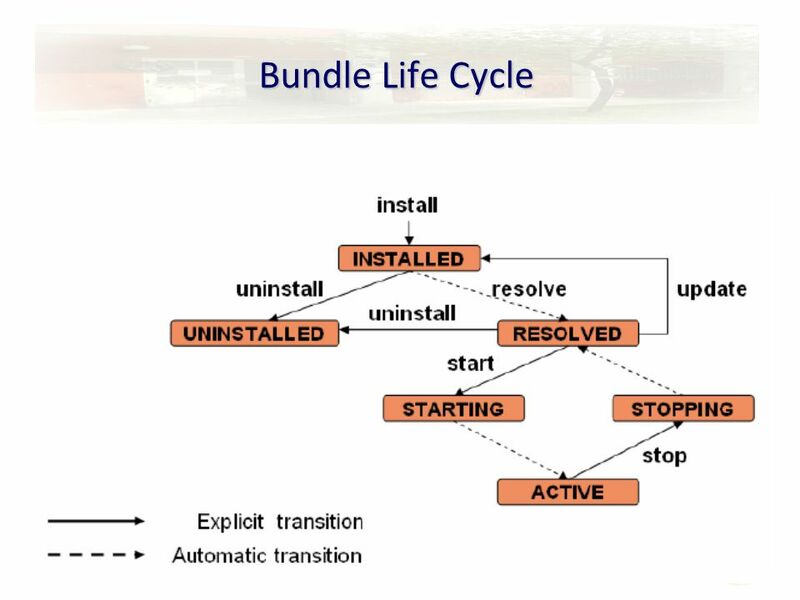 Life Cycle Management: adds bundles that can be dynamically installed, started, stopped, updated, and uninstalled. 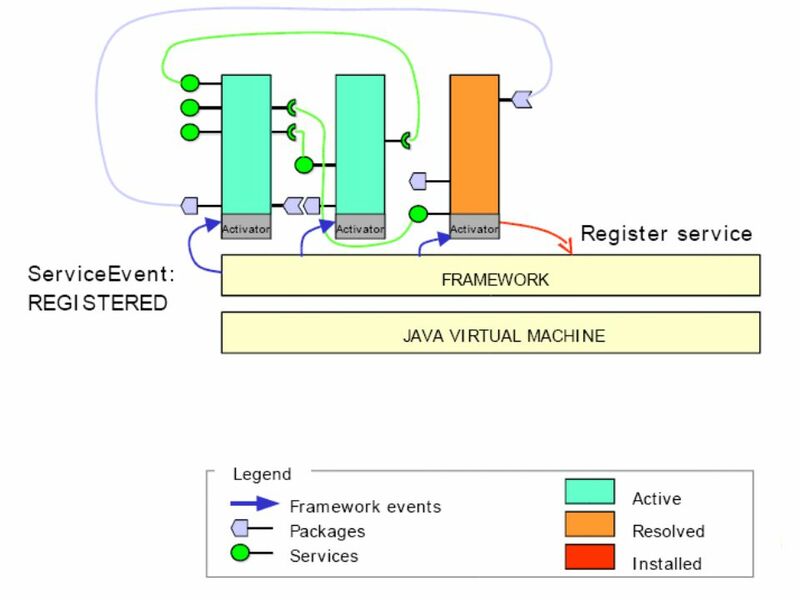 Bundles rely on the module layer for class loading but add an API to manage the modules in run time. 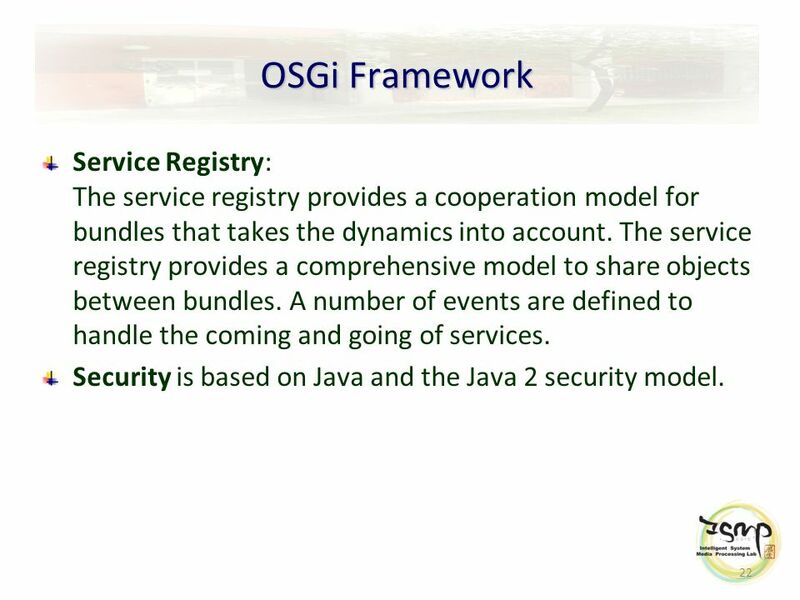 22 22 OSGi Framework Service Registry: The service registry provides a cooperation model for bundles that takes the dynamics into account. 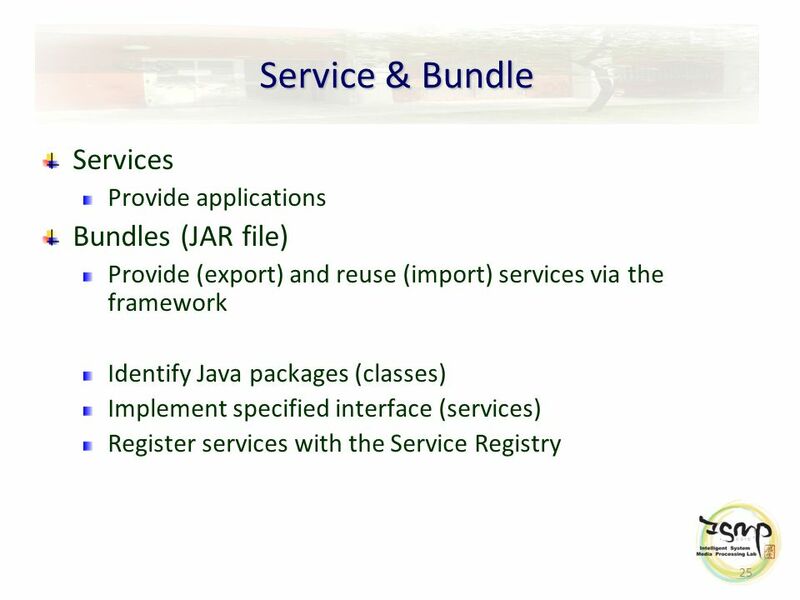 The service registry provides a comprehensive model to share objects between bundles. 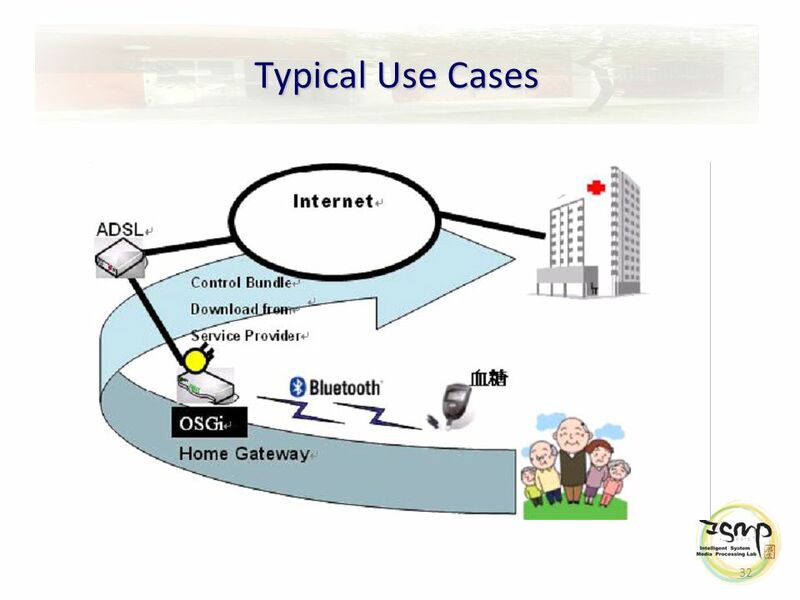 A number of events are defined to handle the coming and going of services. 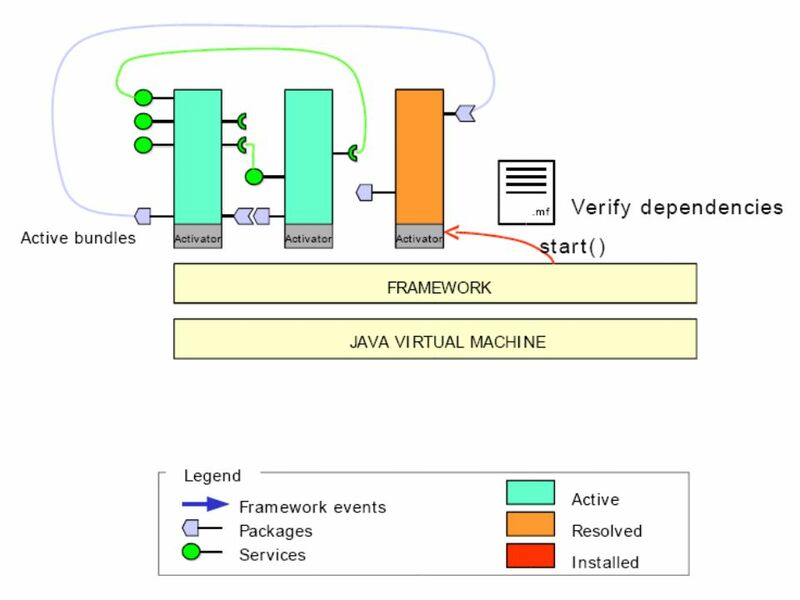 Security is based on Java and the Java 2 security model. 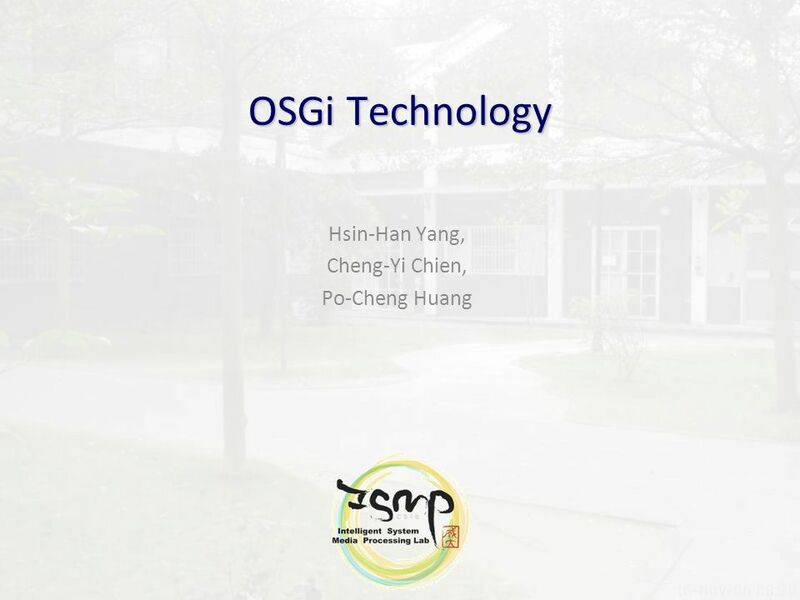 Download ppt "OSGi Technology Hsin-Han Yang, Cheng-Yi Chien, Po-Cheng Huang." 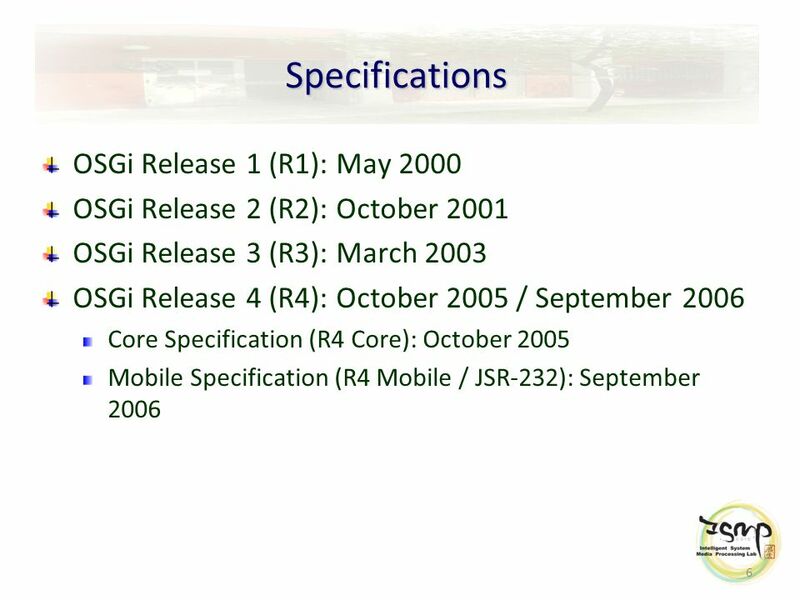 SelfCon Foil no 1 Dynamic component systems 1. 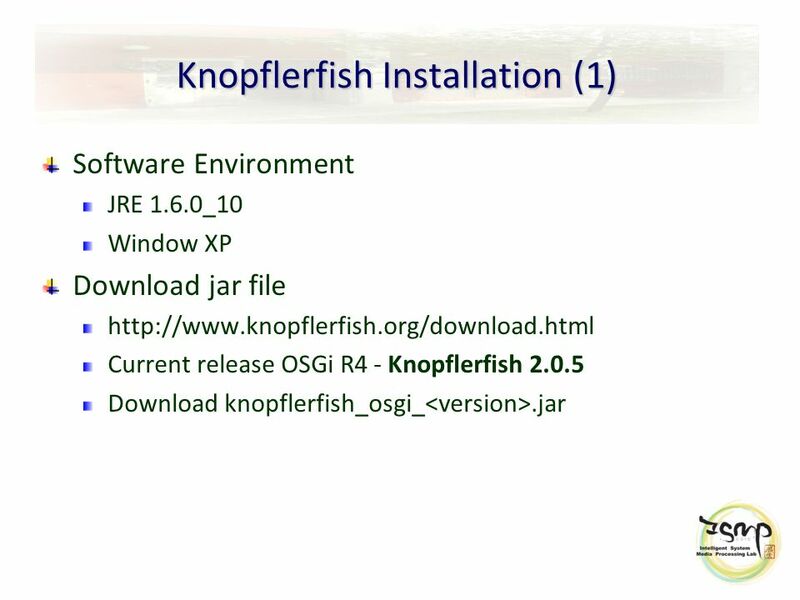 SelfCon Foil no 2 Pre-structured systems vs. dynamic component systems Pre-structured – emphasis on content. OSGi: Final summary and discussion. 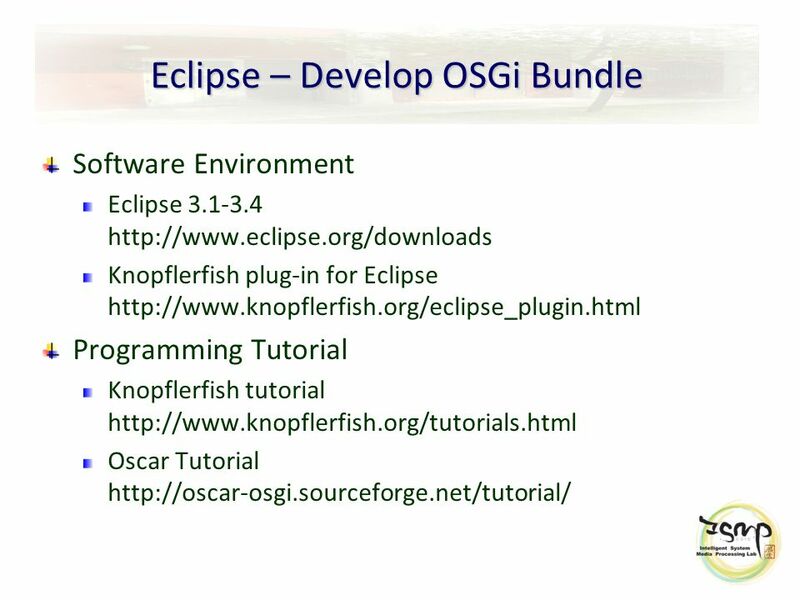 Outline Review: Origins of OSGi –Consortium –Goals Review: What is OSGi –Dynamic Modules for Java –Advanced Component. 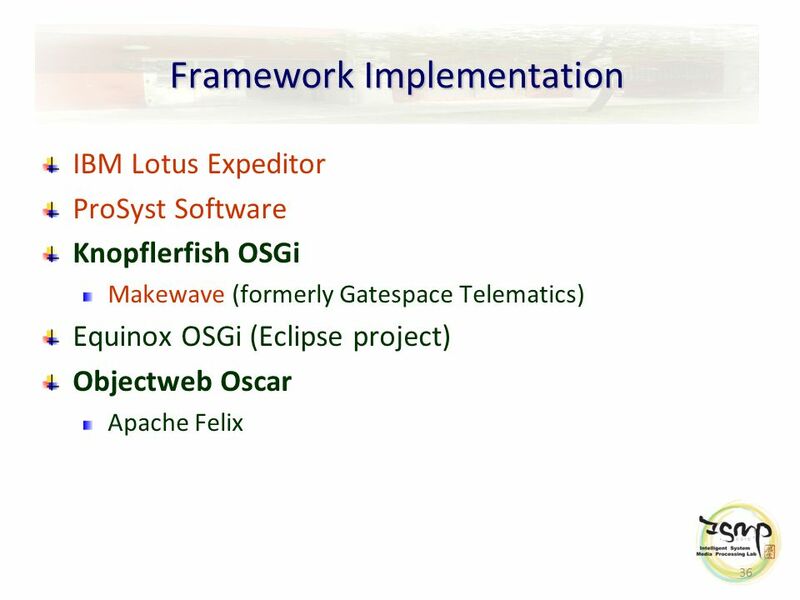 Component Models and Technologies Case Study: OSGI. 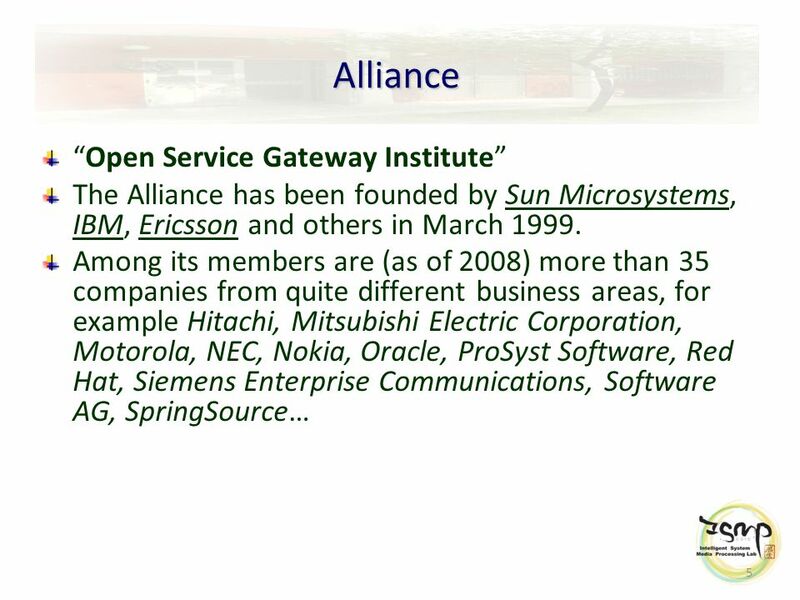 OSGi: Open Services Gateway Initiative Richard Chapman 5 Sept. 2002.